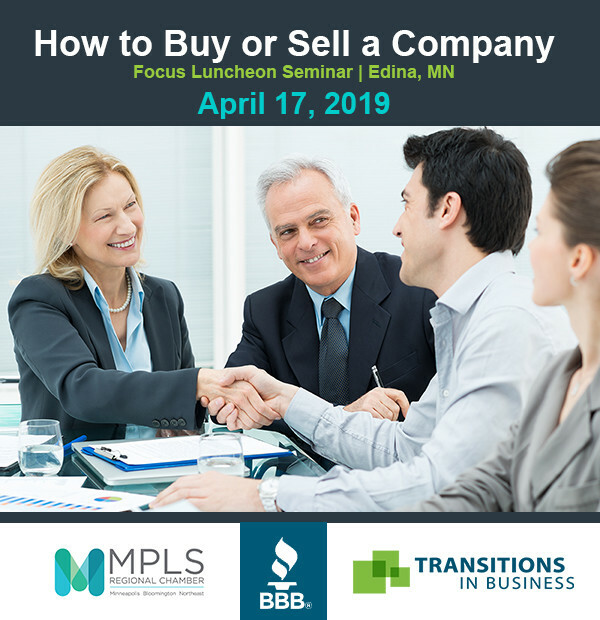 Join merger and acquisition expert Sam Thompson as he presents critical factors you need to know prior to buying or selling a business. This luncheon will provide valuable information for business owners, strategic and owner operator buyers, bankers, attorneys, CPA’s, and business coaches. Sponsored by the Minneapolis Regional Chamber and the Better Business Bureau of Minnesota and North Dakota. Wednesday, April 17, 2019 from 11:30am to 1:00pm at Hellmuth & Johnson, 8050 W 78th St. Edina. Registration fee $20 per person includes lunch.